Explore the shores of Lake St. Clair or find your own adventure on US-24 in a used Jeep SUV from Golling Chrysler Dodge Jeep Ram in Bloomfield, Michigan. Master the terrain in a tough Jeep Wrangler, an all-American icon destined for off-roading. Carve your own path with Jeep style and great value when you get behind the wheel of a Jeep Patriot. 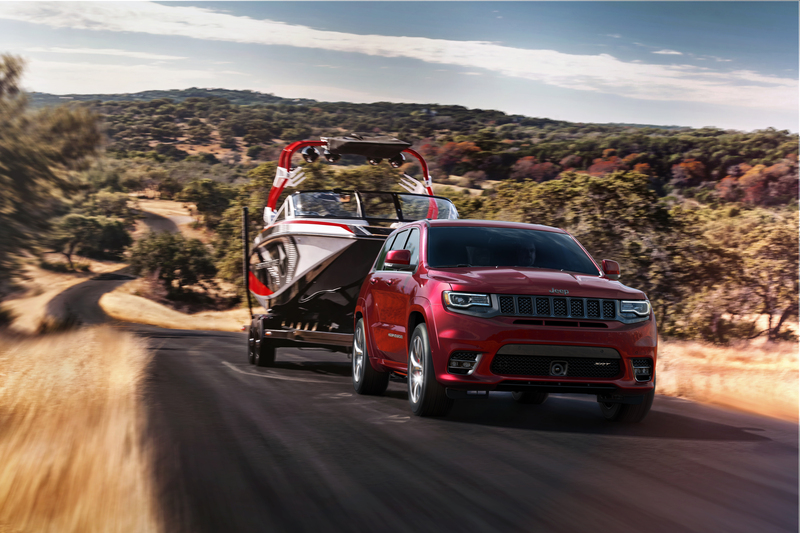 The Jeep Grand Cherokee tows the boat on the weekends and the kids to practice during the week, all with jaw-dropping style and refined features. Find a used Jeep model at your local Bloomfield Hills, MI Jeep dealership. At Golling Chrysler Dodge Jeep Ram, we build long-term relationships with our neighbors in Bloomfield Hills, MI. With fairness and full disclosure, you can be sure to get the used Jeep SUV you want and can rely on. Schedule an exciting test drive in Jeep Cherokee or another popular model today. Looking to buy a used Jeep SUV? Get the ball rolling with online finance tools at Golling Chrysler Dodge Jeep Ram. Find the trade in value of your current vehicle with a Kelley Blue Book search, then fill out our secure online finance application to get pre-approved for an auto loan. Check out our military discount program and many of our other specials. Our expert finance team will find you the best loan for your budget, regardless of credit. Visit Golling Chrysler Dodge Jeep Ram to experience our used Jeep SUVs for sale in Bloomfield, MI.